Treatment for restless leg syndrome can relive symptoms but there is no cure for primary restless legs syndrome. Treatment for restless leg syndrome should be tailored for the individual's symptoms. 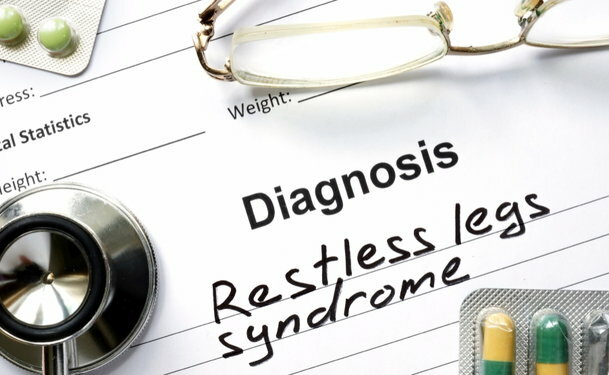 Secondary restless leg syndrome treatments involve treating the underlying cause. Behavior therapy – For mild to moderate cases of rest less leg syndrome (or secondary RLS), your doctor may advise behavioral or lifestyle changes. Some rest less leg syndrome patients find that walking, stretching, yoga, massage, hot or cold baths and relaxation rituals help alleviate their symptoms. Iron supplements – For patients with anemia or low iron levels, increasing iron intake can alleviate or eliminate the condition. Drug therapy – In more severe cases of restless leg syndrome and PLMD, drug therapy might be recommended to control symptoms. Generally, physicians choose from dopaminergics, benzodiazepines (central nervous system depressants), opioids, and anticonvulsants. Dopaminergic agents, largely used to treat Parkinson's Disease, have been shown to reduce RLS symptoms and PLMD and are considered the initial treatment of choice. The first principle of therapy treatment for restless legs syndrome (RLS) is to avoid substances or foods that may be causing or worsening the problem. Avoiding alcohol, caffeine, and nicotine may partly relieve your symptoms. Your health care provider should review your medications and determine whether any drug you are taking could be causing the problem. Any underlying medical conditions, such as anemia, nutritional deficiencies, kidney disease, thyroid disease, varicose veins, diabetes, or Parkinson disease, should be treated. If the underlying cause of restless legs is a nutrient deficiency, a supplement of iron, B12, or folate along with a normal diet can be helpful. Some minerals or vitamins impair the body's ability to use other nutrients or may cause toxicity, so additional supplements should be maintained under the direction of a physician. You may benefit from physical therapy type of treatment for restless leg syndrome, such as stretching, hot or cold baths, whirlpool baths, hot or cold packs, limb massage, or vibratory or electrical stimulation of the feet and toes before bedtime. Exercise and relaxation techniques also may be helpful in treatment for restless leg syndrome.